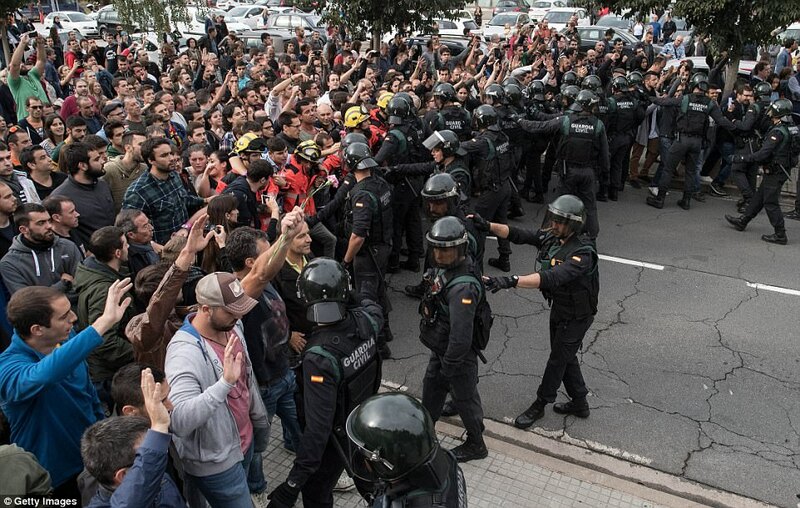 Catalan officials claimed 90% of 2.2million voters had called for independence in an ‘illegal’ referendum blighted by violent scenes which left at least 888 people injured. World leaders condemned the brutal scenes after officials revealed that hundreds of protesters have been injured so far. 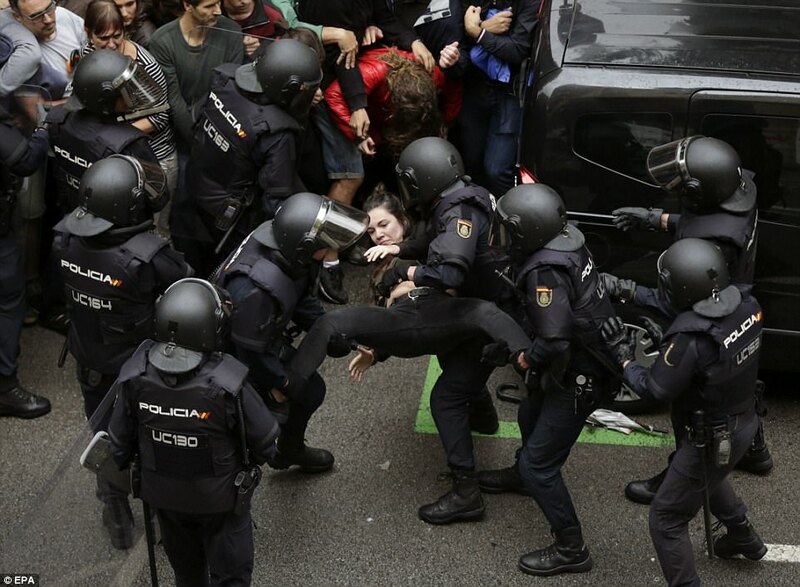 Officers were seen stamping and kicking protesters as they stormed buildings and seized ballot boxes. 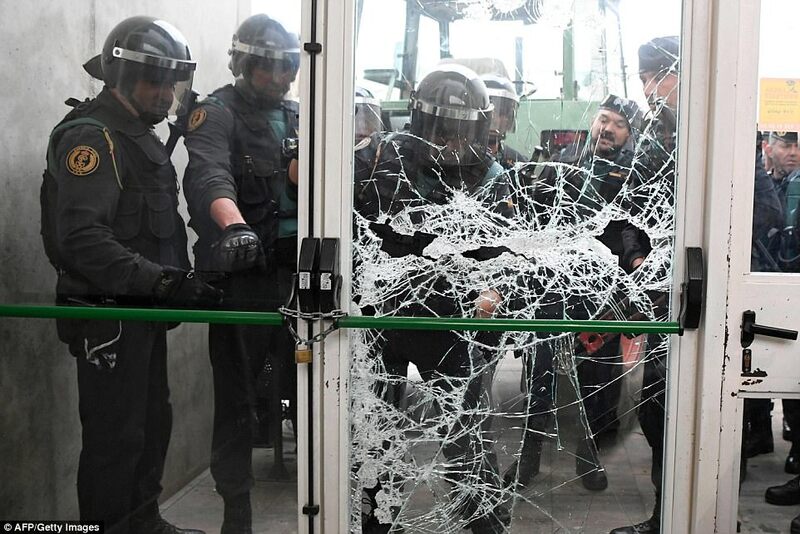 Footage captured in the village of Sarria de Ter in the province of Girona showed authorities using an axe to smash down the doors of a polling station where Catalan president Carles Puigdemont was due to cast his vote. He said the region had won the right to become an independent state with the referendum results due in a few days. 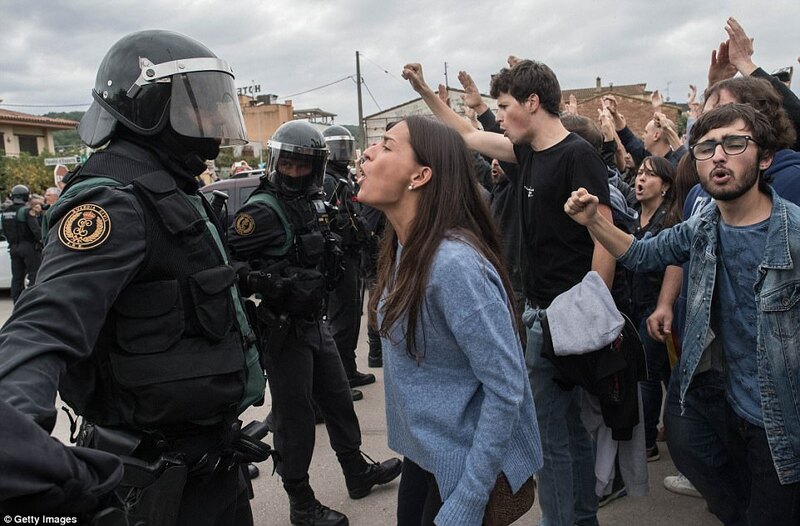 And in Barcelona, the region’s capital, officers fired rubber bullets at thousands of protesters demonstrating against their votes being denied. Boris Johnson condemned the violent clashes but said that the UK saw the vote as unconstitutional. 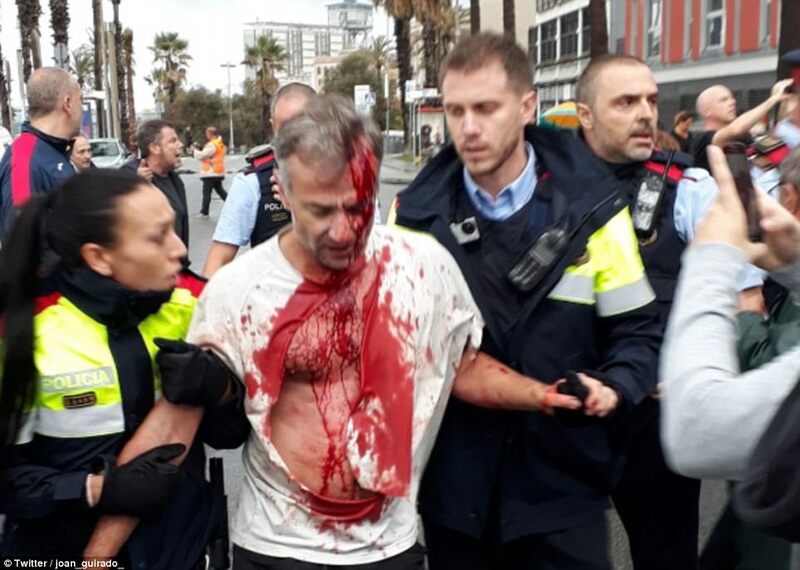 Spain’s Prime Minister claimed the Catalonian referendum had been prevented amid the scenes of violent chaos across the country. Mario Rajoy told a press conference that police had maintained the rule of law by preventing the vote in a crackdown which has drawn condemnation from world leaders.